We sell and support equipment from industry leading manufacturers like Trimble, Applanix, Teledyne BlueView, Teledyne Reson, Teledyne SeaBotix, Teledyne PDS, HYPACK, Carlson, CEE HydroSystems, Valeport, FreeWave, and more. Our team blends a diverse range of knowledge and experience that includes Geomatics, Surveying, Construction, Electronics, Mechanical, Marine Technology, and Military. All of our equipment and systems are tested in our shop prior to delivery to reduce installation time on-site. Our work is professional and done right the first time. 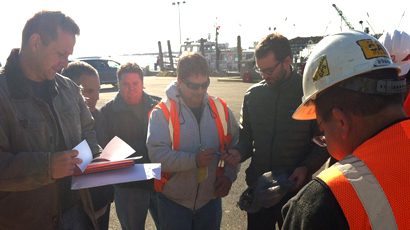 Customer Base: marine contractors, dredgers, hydrographers, USN, USCG, USACE, etc.